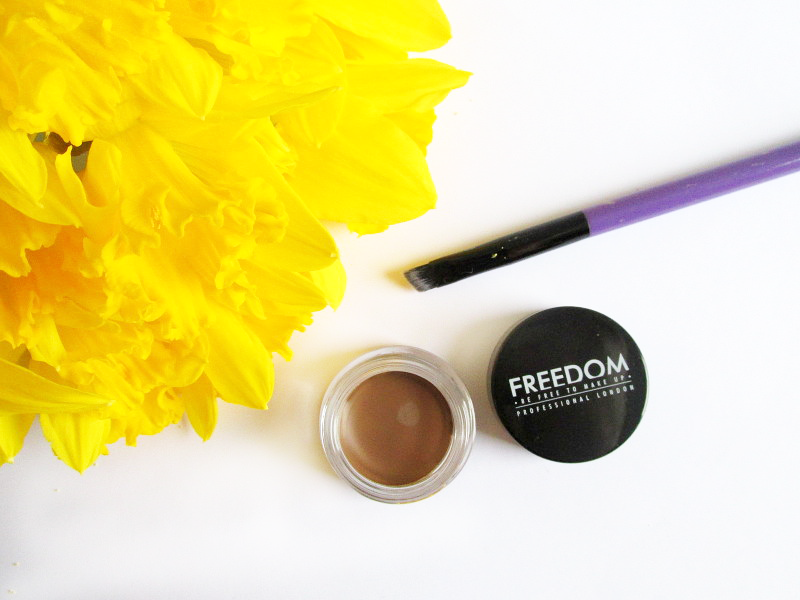 While I have featured Freedom make-up before on this site a couple of times, I haven't had that many dealings with the brand. A quick browse on their website shows a huge array of dupes- what would you expect from a sister brand of Makeup Revolution?! 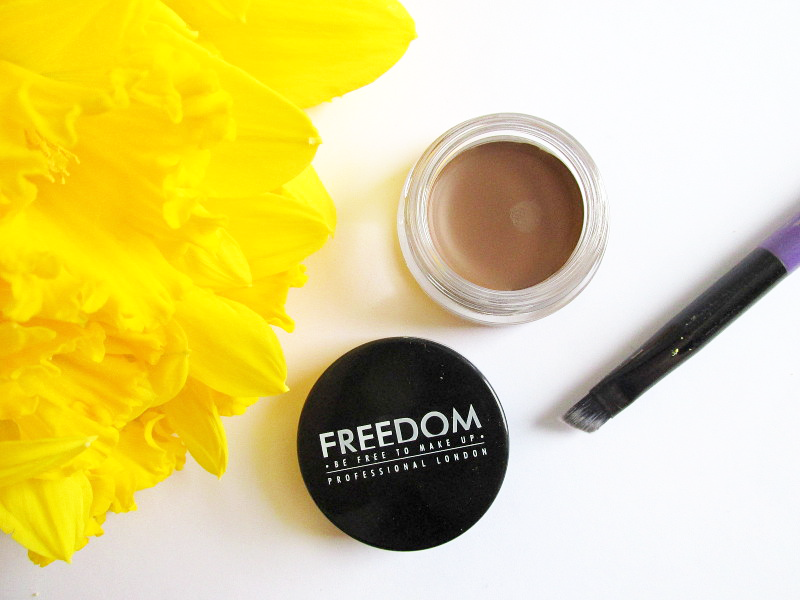 Freedom's products are incredibly affordable, offering your favourite products for a mere fraction of the price, so it's no wonder they are quickly rising in status as a hot new brand. 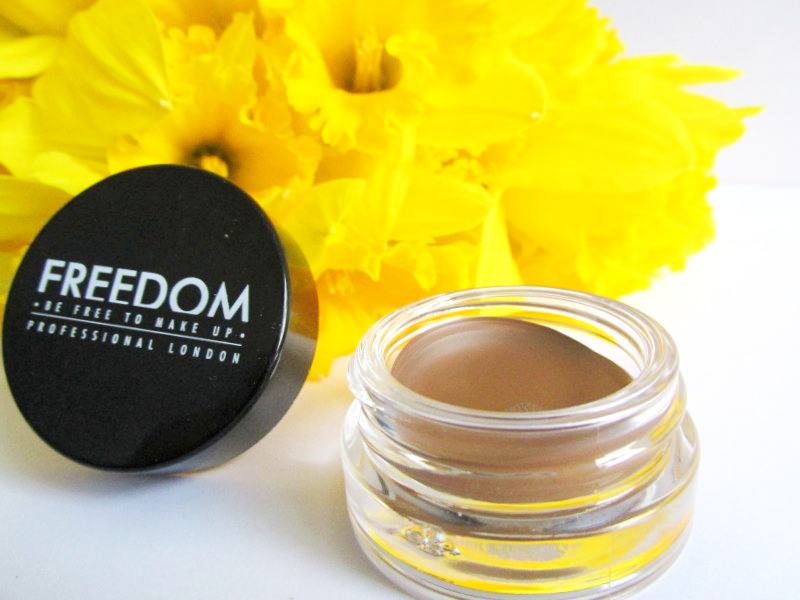 Given that Anastasia Beverly Hills Dipbrow costs £15 for a small pot (which, to be fair, does last you forever), Freedom is offering a product that is arguably even better than the classic for only £5. That's perfect brows for the same cost as your morning coffee! The dinky glass pot doesn't come with a brush, so I have been using this product alongside an angled Seventeen eyebrow/eyeliner brush which does the job but, honestly, doesn't give me the look I really want. Investing in a seriously good, thin and precise angled brush will mean you get the most out of the Pro Brow Pomade and showcase it to its full potential. Regardless, after a few attempts I started to get the knack of applying the cream/wax formula, using the thinnest point of the brush to flick on realistic, individual hairs. Dipping the brush into the pot picks up quite a lot of product, so draw a few practice lines on the back of your hand to get rid of any excess before you go for your brows. You only need the smallest amount, so this pot will last you ages! Opting for the shade 'Soft Brown', I found this to be a perfect match to my dark blonde/light brown hair and looks incredibly natural. I was worried it'd be a tad too dark after seeing swatches online, but it really is perfect. There are 11 shades to choose from online, meaning you can get a perfect colour match (isn't it annoying when products only come in 'light', 'medium' and 'dark'?!). The formula is creamy to apply but dries with the strongest staying power; this is a must for someone who is always paranoid about accidentally wiping off their brows and revealing that there's actually nothing underneath! Have you tried this dupe? 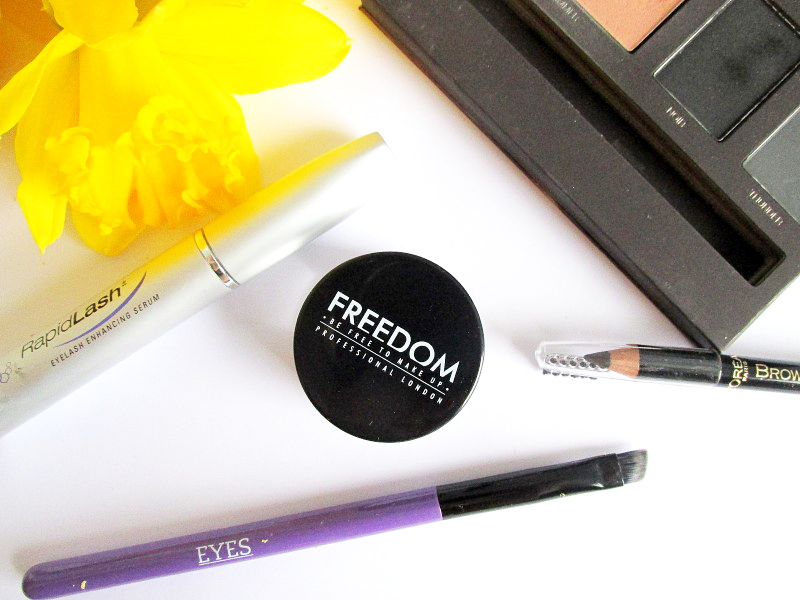 Which Freedom products do you like the look of? I don't use brow products but my friend might love this; as she loves anastasia but it isn't that budget friendly! This is honestly such a good product, would definitely recommend!